Cabo Wabo Cantina is a nominee for the 100 Must See Places in Mexico! Vote now! The Cabo Wabo Cantina was selected as a nominee by the Mexican Tourism Board on a list of the 100 "Must See" Places in Mexico, there’s a voting page and we need your help Redheads! How cool is this?!? I can't believe my little brand has come this far after seeing a guy stumbling down the street in 1986. Go get em redheads, lets go for #1! To vote, please visit this webpage and turn on your translate options to english if you like. The site will ask you to connect your facebook account, but it will not post anything to your page. After that the big green button that say "VOTE" (VOTAR) will turn red and then your vote has been counted! Thanks for the help! Yes I agree! Sam is the man! Love him! He is just awesome in every way!!! Sammy. 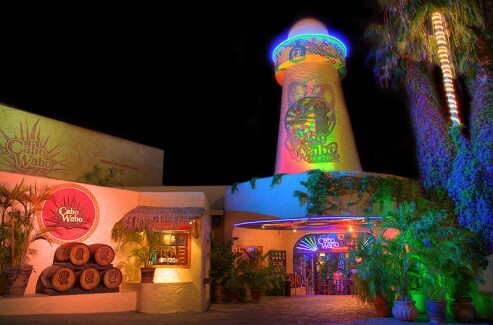 The Cabo Wabo Cantina will soon be top ten places to see in Mexico! Awesome place to party down. Can't wait to be there soon in October !